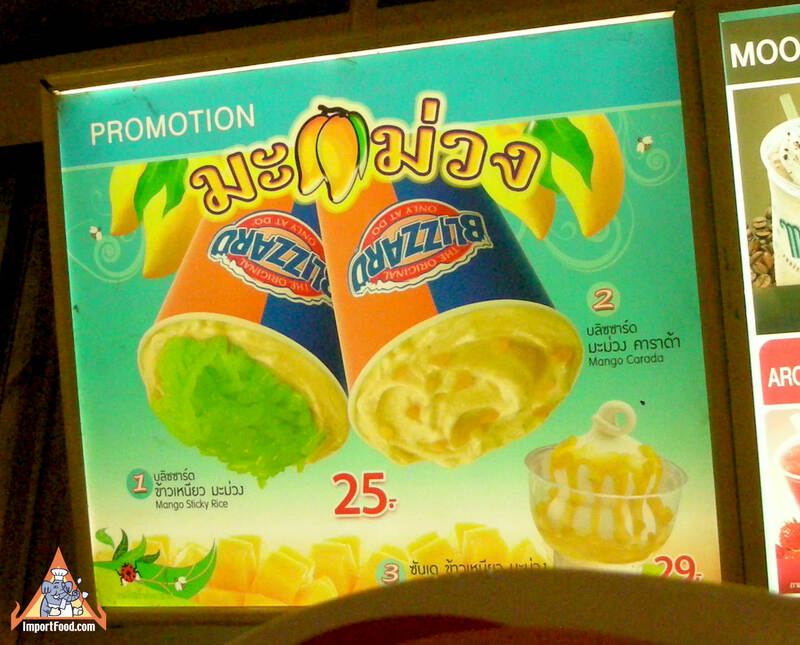 Dairy Queen in Thailand offers ice cream flavored with fresh mango, topped with pandan sticky rice. What a treat! It's about $0.90. 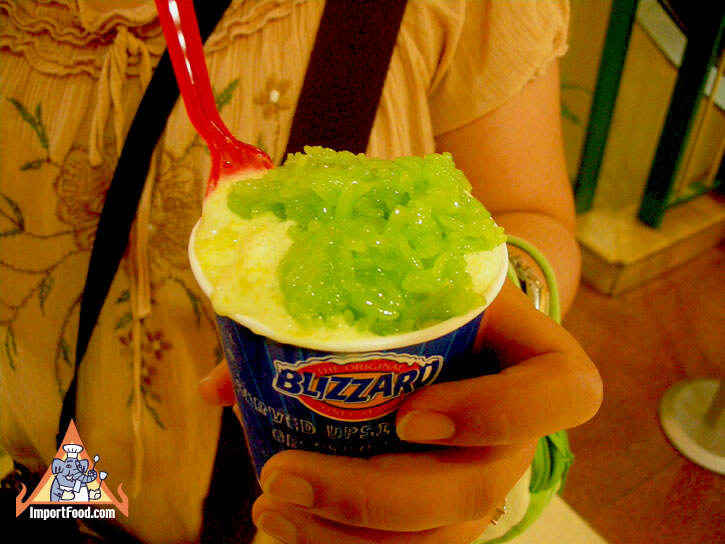 Wouldn't it be nice to find in your local DQ? 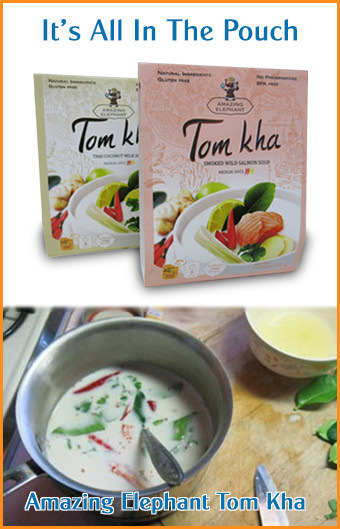 See our recipe for Thai ice cream, and pandan sticky rice.